This chapter covers the use of the XT YouTube Optimizer component for Joomla!™ -powered web sites. 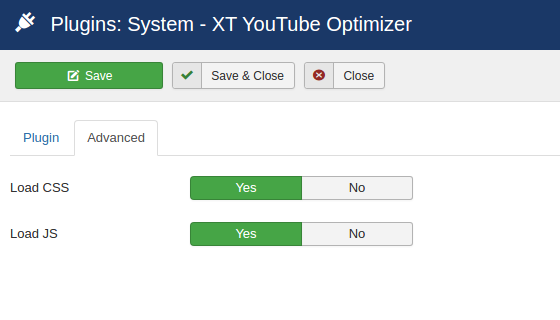 XT YouTube Optimizer for Joomla! is a port of A Better Method for Embedding YouTube Videos on your Website (Amit Agarwal). XT YouTube Video Optimizer detects all Youtube players in a page and replaces them with the default video image, that can be clicked to play the original video player. In this way, the page only loads the image associated with each video, instead of loading, by default, all the heavy video iframes. 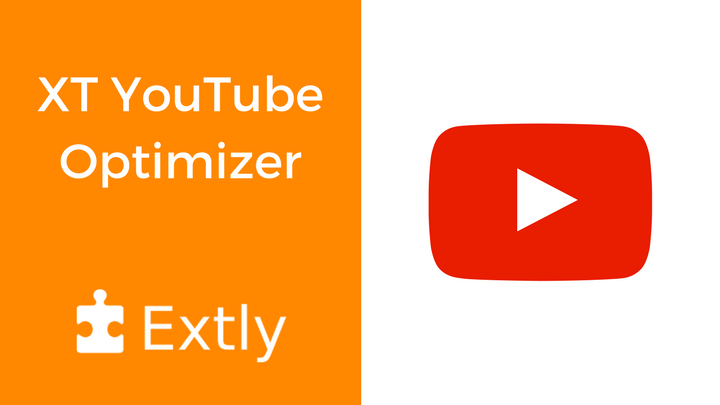 XT YouTube Optimizer provides an easy solution to improve the web page speed. The plugin avoids loading YouTube player each time your web page loads which impact performance. In addition, it's not need to specify the player size, as now the video is embedded responsively. 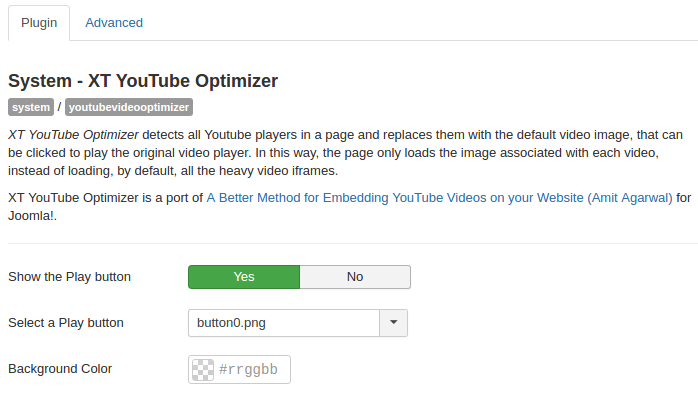 Example: XT YouTube Optimizer enabled, image with a Play Button . Show the Play button: By default, the plugin shows an image button. Select a Play button: Select the image that is diplayed as Play button. Load CSS: The plugin requires a set of styles. With this setting, the default load can be disabled and integrated into another stylesheet. Load JS: The plugin requires a set of routines. With this setting, the default load can be disabled and integrated into another file.